Our first food and spirits event of the spring - at Brasa Restaurant. The Harvard Club's food and spirits tour of Fairfield County resumes on a NEW DATE - Thursday, June 6 - with a traditional Portuguese dinner at Brasa Restaurant in Bridgeport - the highest-rated Portuguese restaurant in Connecticut. Our event will feature an abundant menu of renowned Portuguese dishes, served family style so that everyone can enjoy them all. Examples include chourico asado, pork and clams, and a seafood cataplana cooked in the traditional copper pot. There will also be a discussion of the food, and, of course, the lively company of our members and alumni. 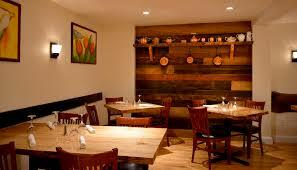 Brasa is located at 1439 Madison Avenue, Bridgeport. Plenty of nearby street parking. Drinks and conversation starting at 6 pm. Dinner following. $38 for Harvard Club of Fairfield County or Harvard-Radcliffe Club of Westchester County members are their guests; $45 for non-members. Includes dinner, tax, and tip. Cash bar separate.